Sharon graduated from the University of Ulster with a BA in Contemporary Applied Art. 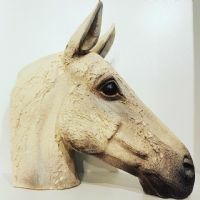 She sculpts the human form and animals, drawing inspiration from the countryside and her love of all things equine. 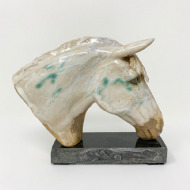 This can be seen in her magnificent horse’s head sculptures. 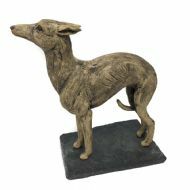 Clay is the perfect medium to convey the sense of strength yet fragility, that is present in all of her pieces.